leslieanne wrote it: Win my ENTIRE Autuween Collection! Win my ENTIRE Autuween Collection! Anyway, the reason I made it up, was that I had both Autumn & Halloween enamel pin and button designs ready to launch, and no patience to wait and do them as two separate collections, soo, Autuween was born! Anyone, from anywhere is welcome to enter, I'm happy to post the prize worldwide, and better yet, there are LOADS of entries up for grabs & loads of ways to enter - see the Rafflecopter gizmo below for more details! 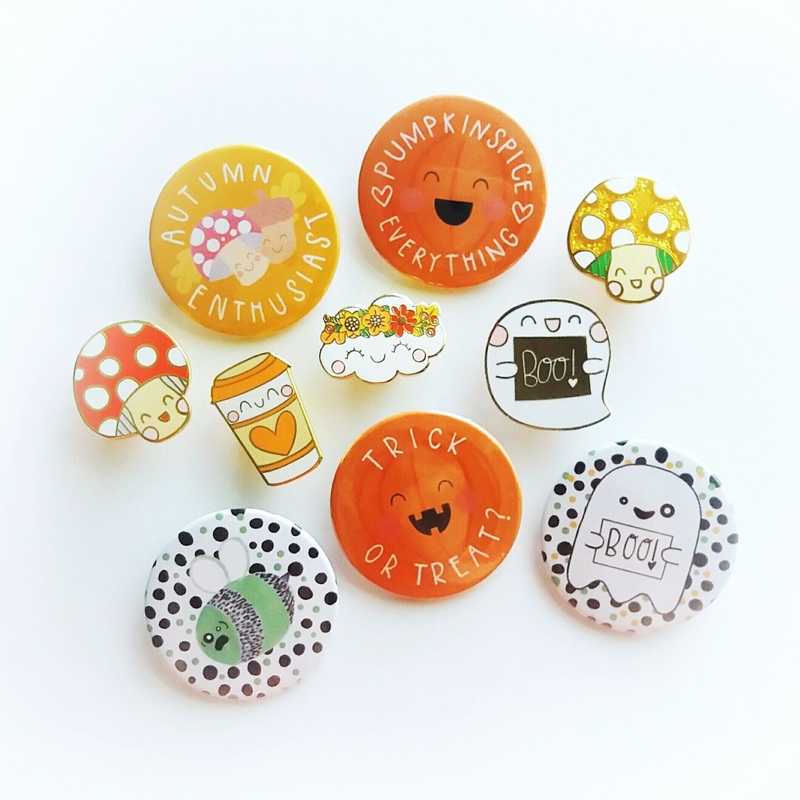 If you'd rather not wait and want to get your hands on any of these cuties right away, they're all up for grabs in my shop - but do feel free to enter the giveaway too - if you end up with a doubler, you can share the Autuween love with a friend! Oh thank you, that's really kind! Thank you! I wish everybody could win! I'm SO with you - gotta love those Autumnal layers! 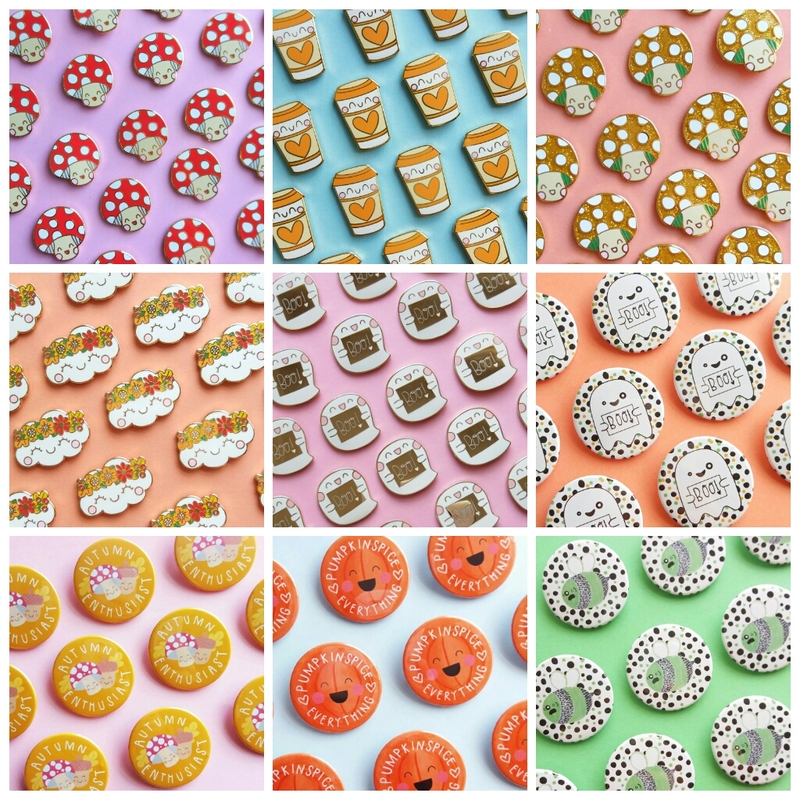 Such a sweet cute collection �� the best thing about autumn are the crisp, fresh and foggy mornings when the sunlight is soft and you can finally go out in your warm jumper, boots and woolly hat and take a walk in the bright and colourful background of an autumn forest. I love the colors of autumn, and it's the season of my BIRTHDAY! I also love that you deviated from your norm a bit by using autumn colors in this collection! I'm so excited about your entire new collection!!! Thanks so much! That's very kind of you to say! Killed it again!! I just needs some pennies and they are mine! Autumn is the best! In India summers are extreme hot and monsoon is extreme rain so autumn is the bestest!! its not too hot not too cold so just perfect! All your stuff is sooo cute I love it!! And my favourite thing about autumn is playing in the fallen leaves! 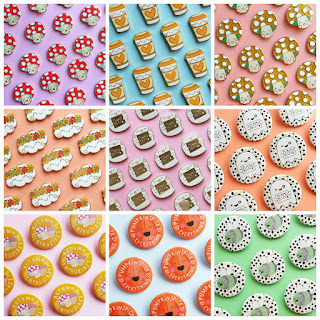 The fact that I can start baking more during autumn has to be one of my favorite things! Oh, I'd love to win more of your gorgeous work! I know it's a cliché, but crunchy leaves are my favourite part of autumn! I've always said if I ever get married it will be at this time of year!